Hi there!!! 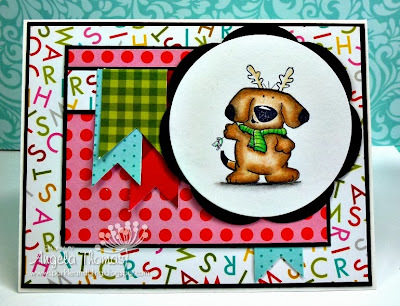 I had a bit of free time to play over the weekend so I whipped up this card using the current Deconstructed Sketch (I have a feeling I'll be using this sketch again soon) along with some new DP I picked up at my LSS. 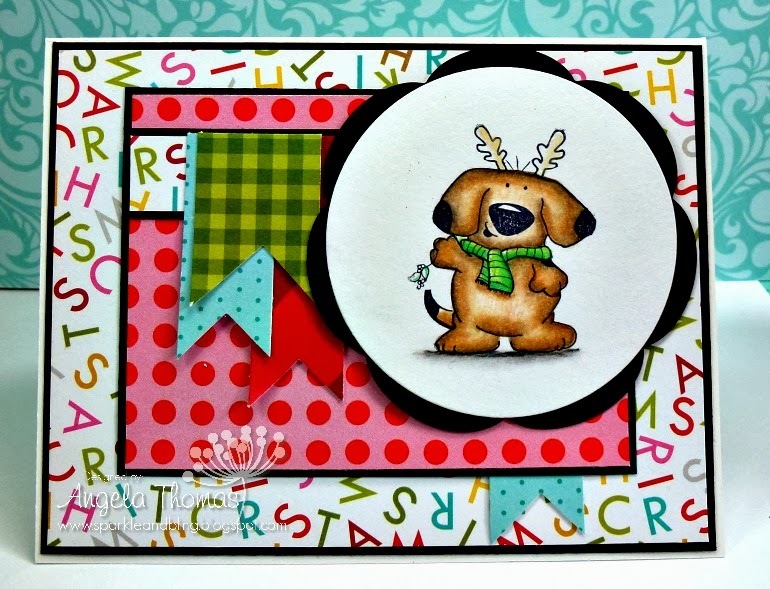 The image called "Confused Christmas Dog" from Stamping Bella has been colored using Prismacolor Pencils and Gamsol. I love how bright all of the colours look together.